Herod the Great’s family tree is long and winding, frequently doubling back into itself. Through his own marriages and the marriages (and intermarriages) of his descendants, Herod’s family was linked to many families of other near Eastern client kings of Rome. 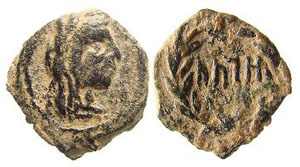 These connections supplement our view of the Herodian family, and explain how families of these client kings of Rome were often inter-connected. Herod I himself (40 BC – 4 BC) had at least ten wives who bore him 14 children, 9 sons and 5 daughters. I certainly don’t have the time to introduce you to each of them and their descendants, but just to catch a glimpse of some of the “A list” members of the Herodian Dynasty. The Roman numerals used to identify many of the people involved often vary from reference to reference. For continuity, therefore, I am using the excellent book HEROD: King of the Jews and Friend of the Romans by Peter Richardson as our primary source. Herod no doubt believed that this marriage would solidify his position as King of the Jews, since the Hasmonean dynasty that ruled before him was, for the most part, quite popular. By all accounts, Herod deeply loved Mariamne. Sadly, however, his paranoia (possibly somewhat justified) caused him to murder not only Mariamne (in 29 BC), but eventually also (in 7 BC) the two sons they had together, Herod Alexander II (born 36 [?] BC) and Herod Aristobulus I (born 35 [?] BC). Even though they died before their 30th birthdays, both of these sons of Herod and Mariamne had quite interesting of descendants. Herod Alexander II married Glaphyra, daughter of Archelaus, King of Cappadocia. (After Alexander’s death, and a second marriage to Juba II, King of Mauretania (25 BC – 23 AD), Glaphyra later married her first husband’s half brother Herod Archelaus (4 BC – 6 AD), ethnarch of Judaea, after he was banished to Gaul by Augustus (27 BC – 14 AD). 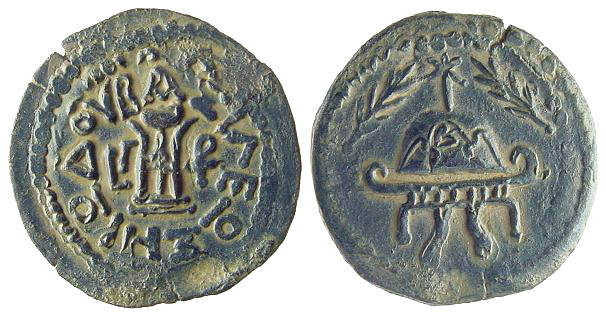 The son of Alexander and Glaphyra became Tigranes V, king of Armenia, who ruled for a very short time around 6 AD. According to Y.T. 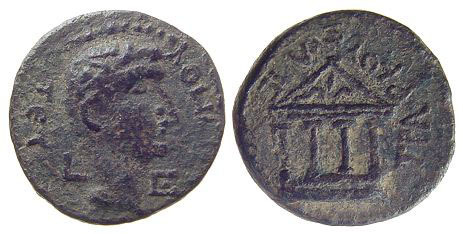 Nercessian, “Augustus sent Tigranes V to Armenia. He was distantly related to the Armenian Artaxiads. He was the grandson of Herod the Great of Judaea, son of Alexander and Glaphyra… His reign was short-lived and Queen Erato was placed on the throne.” Tigranes V died in 36 AD. Tigranes V and Erato marked the end of the line for Artaxiad royal line, and shortly the Parthians moved into power. Nero, however, was having a difficult time controlling the Parthians. By around 60 C.E. the military/political situation with Parthia was not tenable for Rome, and Nero installed a new ruler, a pro-Roman, anti-Parthian puppet, supported by Roman troops. He was another Tigranes (VI), a usurper who was barely (if at all) related to the original Armenian royal family. As nephew of the above-mentioned Tigranes V, and a great-grandson of Herod I and Mariamne, he kept things in the family for his brief reign. A son of Tigranes the usurper, Alexander VI, became King of Cetis in Cilicia, and married Iotape III, daughter of Antiochus, King of Commagene (38 – 72 AD). Tracing the lineage of Aristobulus I, Herod’s other son with Mariamne, is equally confusing and just as interesting. In 17 B.C.E. Aristobulus I married his first cousin Berenike I, the daughter of Herod I’s sister Salome I. This union resulted in three sons and two daughters. Here we will follow the sons. ordered that her request be granted. 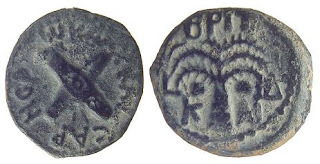 A second son was Aristobulus II, who married another Iotape, daughter of Sampisgeramos, King of Emisa. The third son of Aristobulus I and Berenike I was Agrippa I (37-44 AD), who incorporated Judaea into his territory for the second half of his reign. 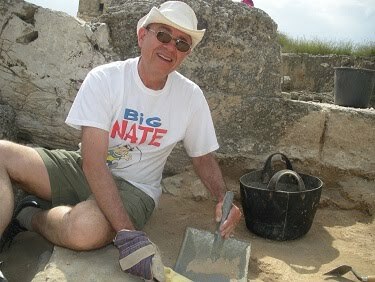 Agrippa I followed family tradition and married his first cousin Kypros III, another grand-daughter of Herod the Great. Among the children of Agrippa I were Drusilla, Berenike III, and Agrippa II. 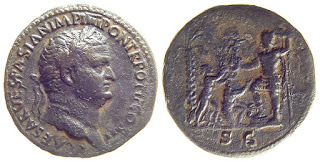 Coin of Agrippa II with the portrait of Vespasian. 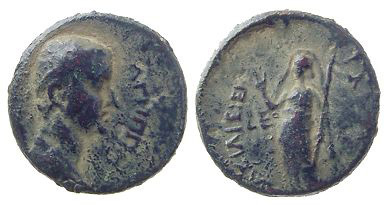 Drusilla first married King Aziz of Emisa and later married Marcus Antoninus Felix, procurator of Judaea (54 – 59 AD) under Claudius. Coin of Antoninus Felix, Procurator of Judaea under Claudius. 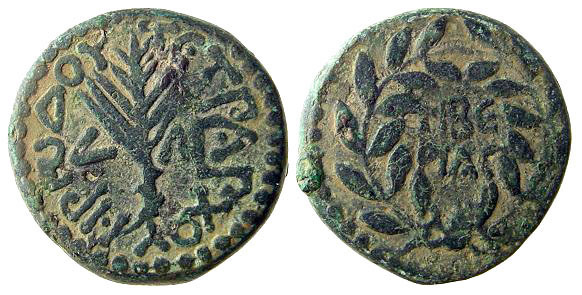 Agrippa II became the last Herodian King in the ancient land of Israel and ruled from 56 to around 95 AD. Although he never actually ruled over Jerusalem, he maintained a palace there, and wielded quite some influence with many Jews. Claudius assigned him guardianship of the High Priest’s robes in Jerusalem. Agrippa II made impassioned pleas to the Jews to give in to Roman rule instead of fighting the Jewish War (66 – 70 AD). During much of this time his sister, Berenike III, stood by his side. It was often speculated that Berenike III stayed by her brother not only by day, but also by night, in an incestuous relationship. Aside from that it is mentioned above that Berenike’s second husband was her uncle Herod King of Chalkis. 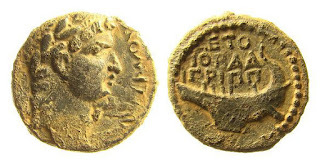 Her third husband was Polemo II, King of Pontus (38 – 63/4 AD). And finally she nearly became the wife of the Roman Emperor Titus (79 -81 AD), with whom she had a long, well publicized relationship as his mistress. Titus went so far as to bring Berenike III to Rome and install her in his palace, in anticipation of a royal marriage. But the Roman Senate, still wary of women of the East after their experience with Mark Antony’s Cleopatra III, prevailed, and Titus ended his relationship with her. We can round out this summary of Herod’s descendants with a quick look at the three sons who actually inherited his kingdom after fierce contestations of their father’s will. Herod Antipas, tetrarch of Galilee (4 BC – 40 AD), first married a daughter of Aretas IV (her name is not known to history). His second wife was Herodias, daughter of his half-brother Aristobulus I. This was also Herodias’s second marriage, since she had previously been married to another of her uncles. 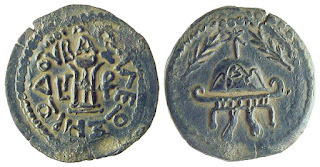 Herod Philip II (4 BC – 34 AD), son of Herod the Great and Cleopatra of Jerusalem, became tetrarch of the northeastern section of his father’s kingdom (4 BC – 34 AD). He was the first husband of the notorious Salome III, his niece. When he died (as discussed above), Salome married her second cousin, Aristobulus IV, king of Armenia Minor. 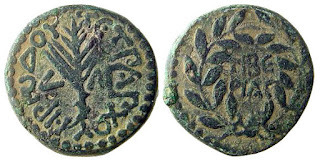 Herod Archelaus, ethnarch of Judaea (4 BC – 6 AD), first married one of his niece’s Mariamne IV. After divorcing her he married Glaphyra, the wife of his half-brother Alexander, who had been murdered by his father Herod the Great in 7 BC. 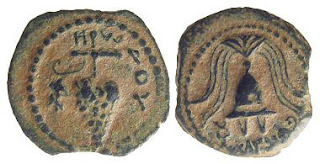 Herod Archelaus’ first wife was his niece Mariamne IV.